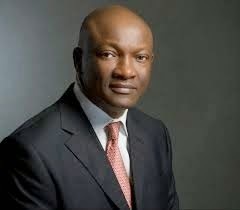 The governorship candidate of the Peoples Democratic Party in Lagos State, Jimi Agbaje, has approached the election tribunal, challenging the victory of the Governor-elect, Mr Akinwunmi Ambode. It was the first sitting of the Lagos State Election Petition Tribunal. Reporters were not allowed to film the proceedings of the two panels of tribunal that sat on Tuesday. One of the panels heard the petition filed by Mr Agbaje. The panel rejected the request by the petitioner to compel the Independent National Electoral Commission (INEC) to make available all materials used for the election, but granted a request to allow the petitioner inspect the materials used specifically for the governorship elections in Lagos State. The governorship candidate of the All Progressives Congress (APC) in Lagos State, Mr Ambode, was declared the winner of the April 11 election. Mr Ambode polled 811,994 votes, with the runner-up and the candidate of the Peoples Democratic Party (PDP), Mr Jimi Agbaje, polling 659,788 votes. Analysts said it was a keenly contested election between the candidate of the party ruling the state, the APC and the PDP candidate. After Mr Ambode was declared winner by the electoral body, Mr Agbaje congratulated the Governor-elect a tweet. He said: “I wish him well and pray he will be successful in guiding this state”.